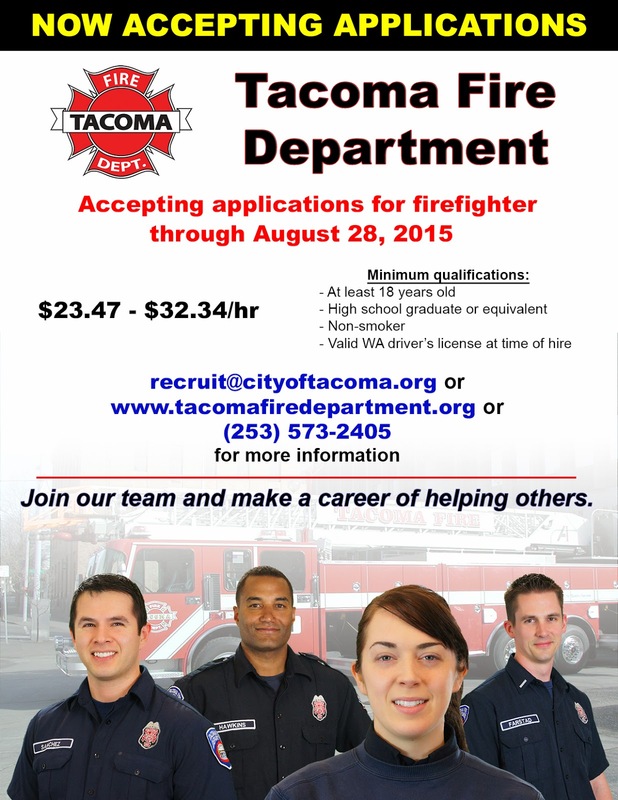 Accepting applications for firefighter through August 28, 2015. 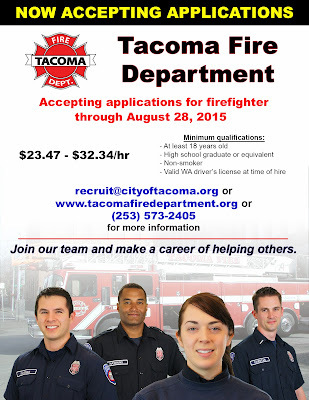 If you or someone you know is interested in a career with the Tacoma Fire Department, we are currently accepting applications to establish a candidate eligibility list. The deadline for submitting your application is August 28, 2015 at 5:00 p.m.